Science Inc. has backed another startup — this time its first social search/big data company. Today, EverySignal is launching to make it simple and efficient for people to leverage their social networks in order to make sure they don’t miss any of life’s most important moments. One problem that the company founders realized was that there’s a shift of values taking place right now as people are beginning to move from traditional search to more social means in order to find answers to their questions. And it says that the average social media user has about 400 contacts to their name, producing 30,000 posts each month just between LinkedIn and Facebook. News feeds and social streams are becoming inundated with noise and EverySignal says they want help extract value from all that data. What it does is parse through the noise and find those important moments happening with your friends and show them to you in some digestible format so that you can build better relationships with your friends and family. Right now, it examines LinkedIn and Facebook for news, which makes sense because when anyone has a new job or position, LinkedIn is probably the first thing that’s updated. If you have a major life-changing event (e.g. pregnancy, graduation, engagement, birthday, etc. ), it’ll be shared with your friends on Facebook. 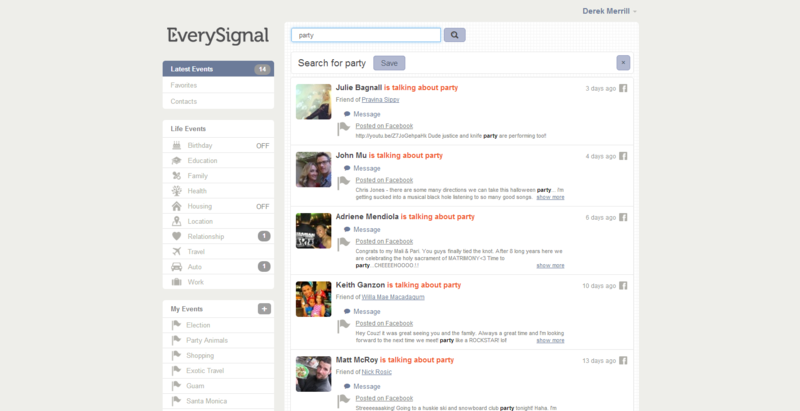 EverySignal says that Twitter integration is coming in the future. Derek Merrill, CEO and co-founder, says that it can probably be best described as “Google alerts across your personal and professional networks”. 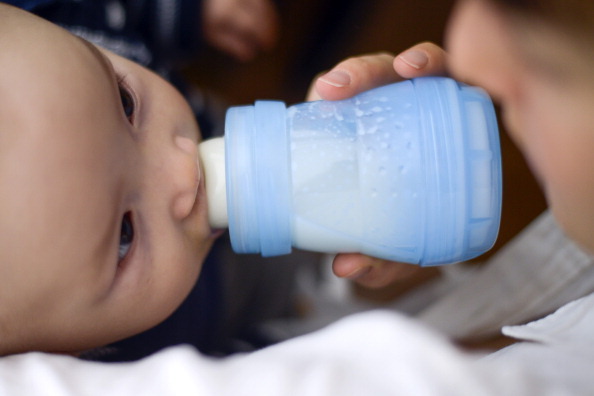 It has a machine-learning algorithm that, by default, looks at 10 different life events, including birthday, education, family, health, housing, location, relationship changes, travel news, auto updates, and work change. Additionally, other specific events that you might care about can be included. If you’re too busy to check on the website for updates, the service can send you daily email notifications that recaps any updates to your friends or family members. Merrill claims all the noise that you probably experienced before with a loud news feed has just been silenced and “actionable”. By reviewing the email, if there’s a moment you wish to learn more about, you can just click it and be taken straight to that conversation. 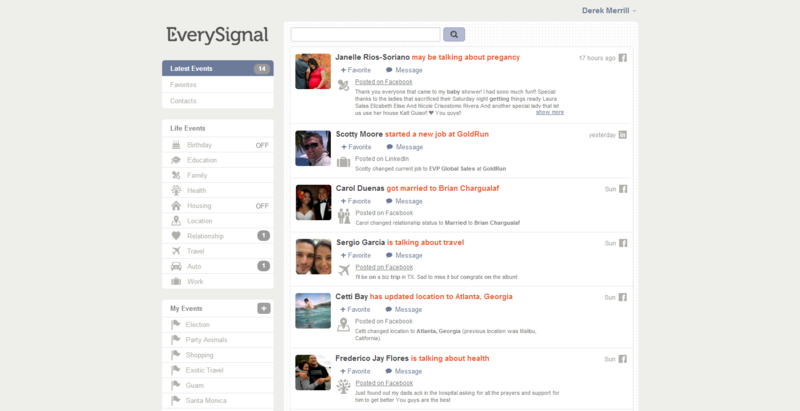 EverySignal does more than just listing your friends’ updates by specific life moments. You can use the service to query specific topics. On the site you could ask which of your friends is interested in a specific genre of music or maybe who’s seen the latest movie out in theaters, or who will be attending South by Southwest this year. The results that you get could help influence a potential purchasing decision or behavior. So just how will the company monetize this service? It has some ideas, but right now, the company is more interested in getting people to use it. During its beta testing period over the past two months, EverySignal had less than 1,000 users participating. It saw that the emails generated from the service received a 70% open rate — something that it thinks users are expected and are eager to receive each day. Today it opens up to the public. This service can only be used on the desktop or through the mobile web. A more optimized version for mobile devices is in the works and Merrill says that it could be released in the next month or two.